Ready to master self-motivation, reach your goals and design a life you love? Making this as simple an uncomplicated as possible is the true path to success. Motivation nose dives like a jet plane when we over complicate what we need to do to get to our goals. Download your FREE SELF-MOTIVATION MASTER GUIDE. 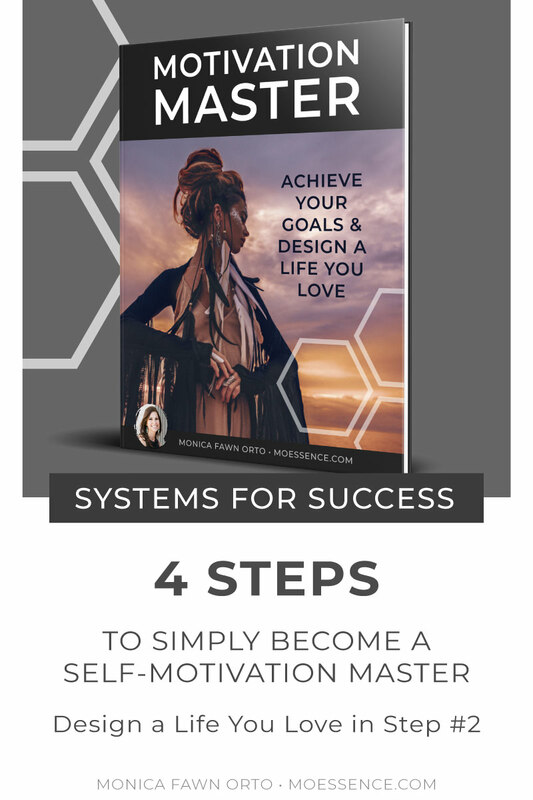 In 4 steps simple steps you can drastically alter your progress on your big goals and design a life you love. To enjoy life now while growing your business. Not needing to wait until you “make it”. Go to your email to download your guide now! As an entrepreneur you’re wondering “How can I get motivated?” And how to stay motivated? Self Motivation is linked to success when we aspire to accomplish big goals. Motivation meaning, the desire and energy in you to be continually interested and committed to a job or role or to make an effort to reach a goal. Self-Motivation can be illusive and the bigger the goal and dream the more Motivation seems to get slippery and stay out of grasp. It’s natural and something even the big league successful entrepreneurs have faced. It comes from both Internal and External factors and influences which can happen consciously or unconsciously. Becoming conscious of these factors is where your key to success lays. You have the power to influence your motivation and knowing how to stay motivated. Contrary to popular belief it doesn’t require a lot of effort or pain to stay motivated. Really. If you’re a fan of making simple changes that create profound results then this free guide is for you. The method of Minimal Effective Dose has been used here to keep these 4 steps easy to take action on and make the biggest changes to your success and happiness long the way. Feel the calm of knowing exactly what to do to improve your motivational state instantly. Sleeping well later knowing you accomplished everything you needed to each day.